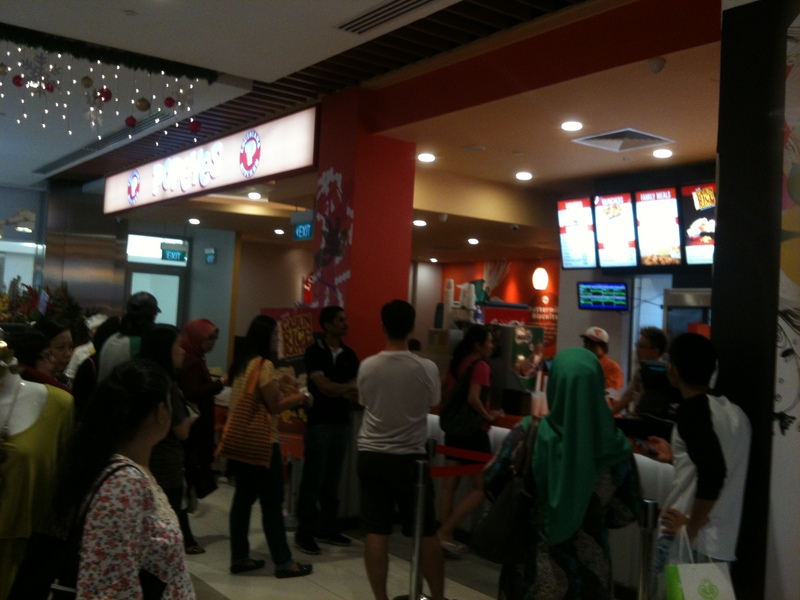 Was invited to a bloggers event at the newly opened Popeyes outlet at IMM. 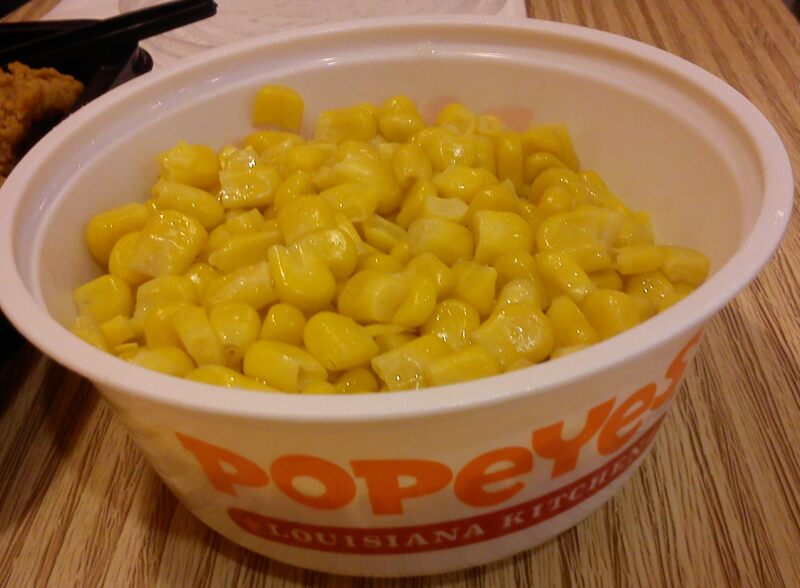 Hooray to Popeyes! Thanks for finally opening an outlet at the west side. OMG! Look at the long queue of customers waiting to be served. We all loved good foods, don’t we? 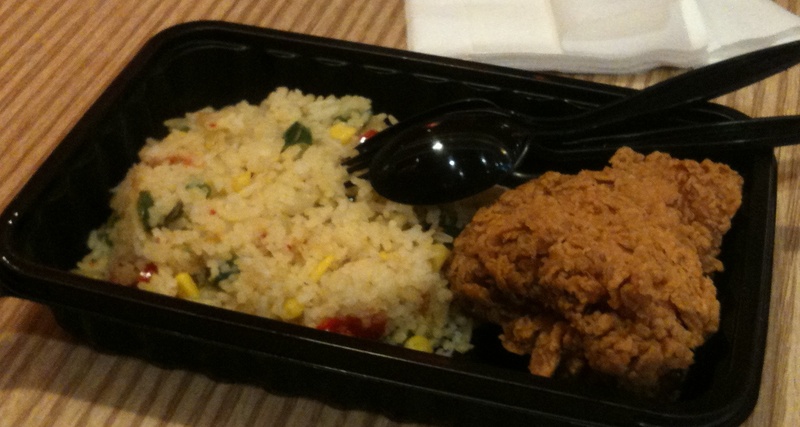 First up is the Popeyes Cajun Rice Platter. A new member to the Popeyes food menu. Crispy, succulent Bona fide chicken, accompanied by rice tossed with green and red capsicum, juicy corn bits and garlic. Next is the Cheese Fries. The fries were very well seasoned and fried to the perfect crisp. 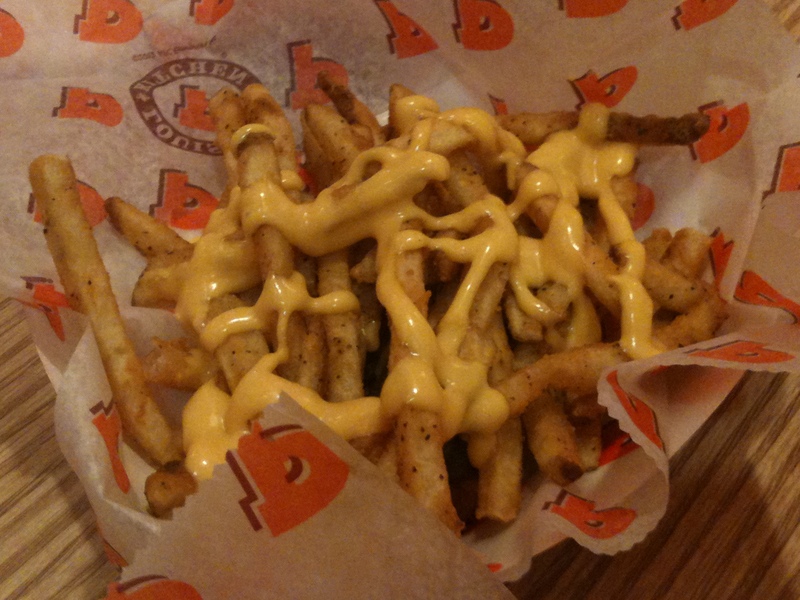 Most important of all, its not salty and Popeyes was also very generous with the cheese. The onion rings was simply fantastic. 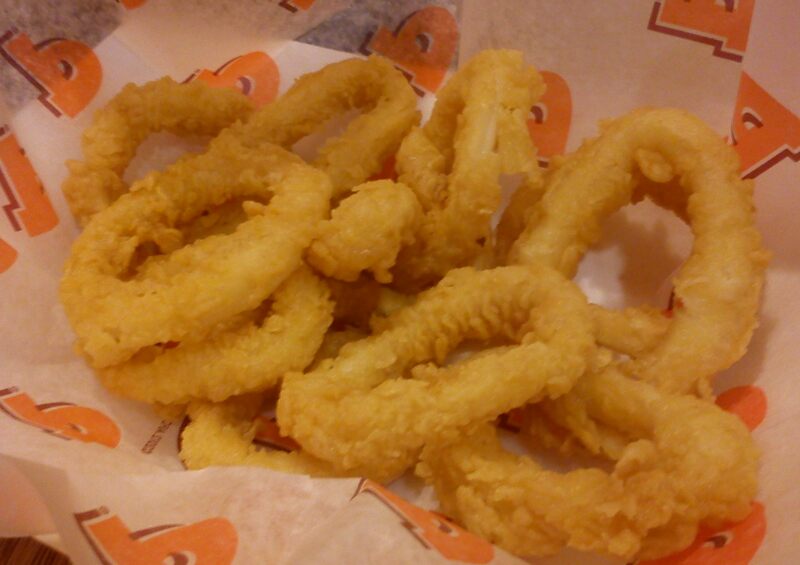 Its been so long since I managed to find a place selling onion rings that are so delicious. Reminds me of the good old times when I used to get my dose of craving from A&W. Right up was the Corn Cup. 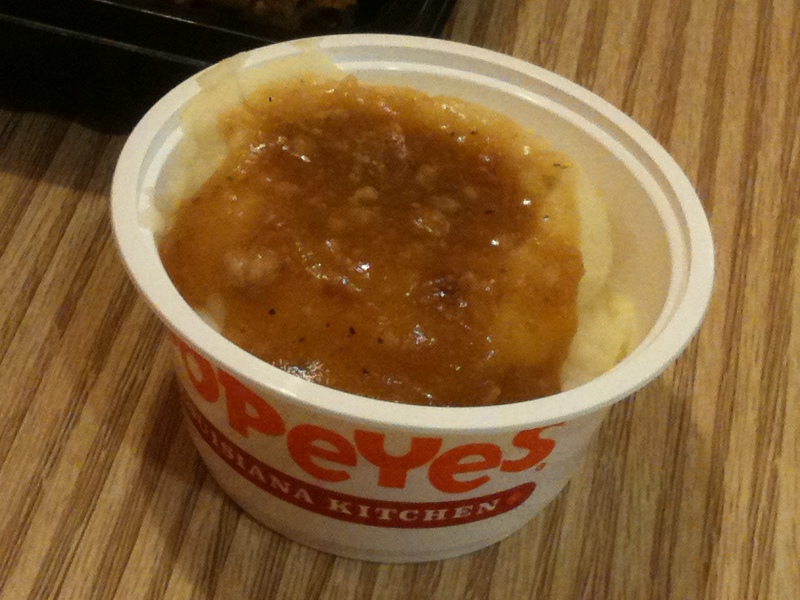 This is one of the must buy items whenever I dropped by any Popeyes outlet. Personally find it a bit dry. Would love it more if they could add in a spoonful more of margarin. I’m not really a fan of fried prawn. 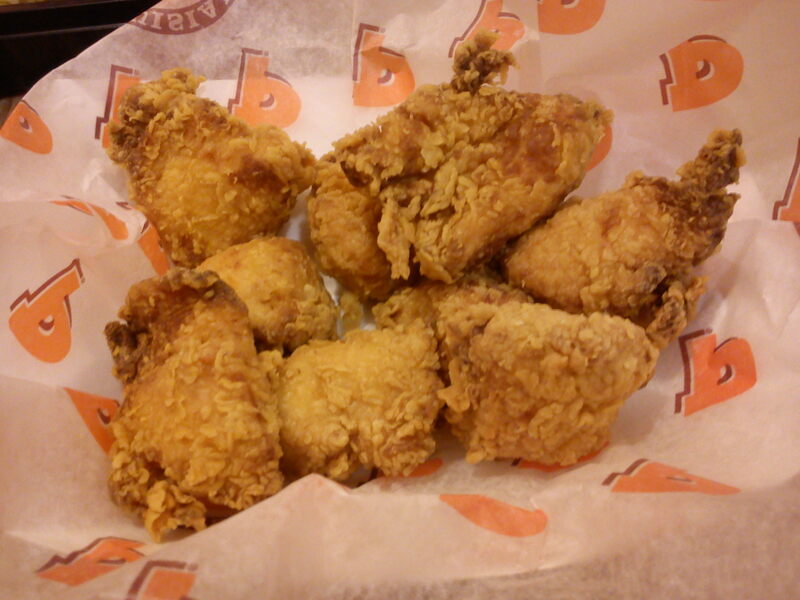 But Popeyes fried prawn are simply delicious. Was so surprise to find the outside so crispy and yet the inside not as dried out as I imagined it to be. The mashed potato is also one of my favourite. If you look closely at the gravy, you can actually find little bits of chicken in it. Isn’t that marvelous? The Louisana pepper nuggets was an hot item among my friends. One of them even managed to clear 2 sets at a go. That’s how much she loved it. How can I ever leave out the biscuits. 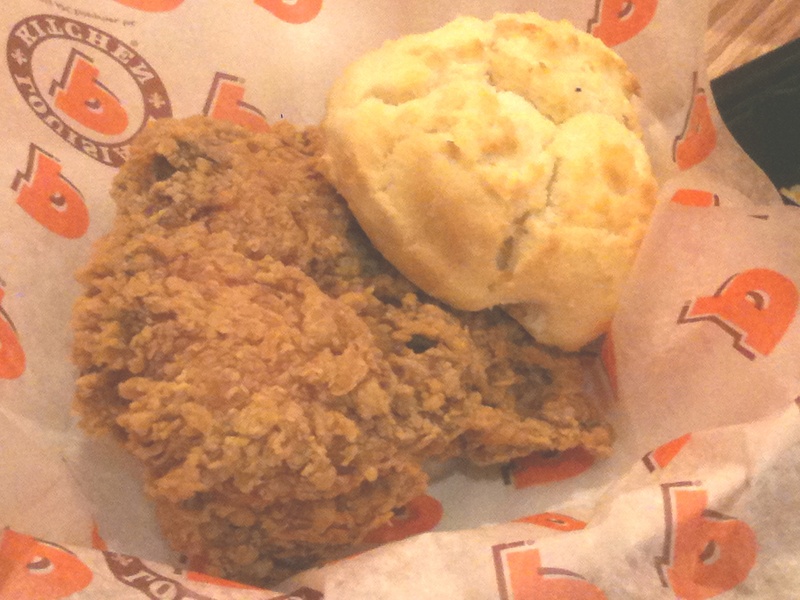 My Popeyes meal is never complete without the presence of this wonderful biscuit. I love dipping it into my mashed potato. 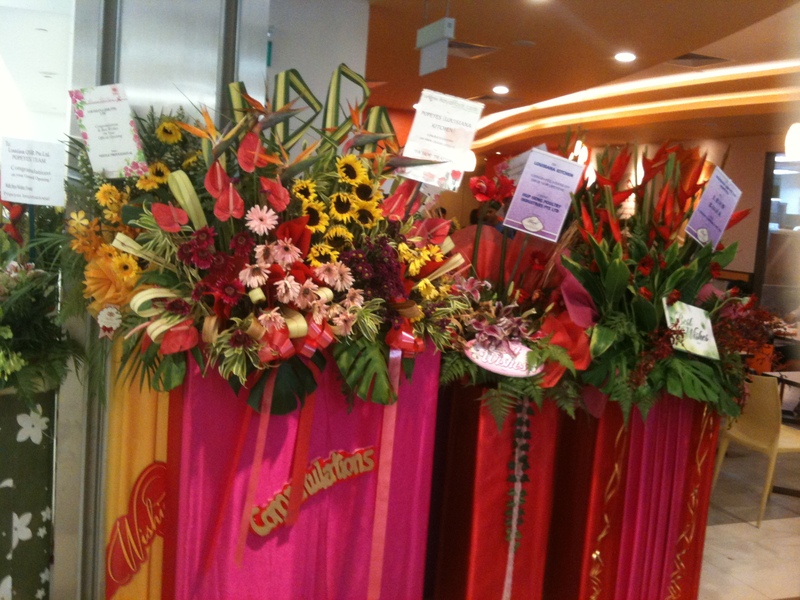 The other 11 outlets are Jubilee Square, Bedok Point, Bugis Village, Century Square, Downtown East, Orchard Xchange, Punggol East, Square 2, The Cathay, Singapore Flyer & Changi Airport Terminal 3. 03. Each piece of bonafide chicken is marinated with authentic Louisiana seasoning and spices from 7 Nations for 12 hours and hand battered, breaded and fried fresh. 5. Each batch of chicken is made fresh, and not allowed to stand for more than 1/2 hour !